Research has shown that having staff that are well trained can have an overall positive effect on inventory management and reducing wastage.4 You should ensure that all staff involved in the handling of blood and blood products participate in a well-designed training program. Staff should learn the importance of inventory management and be instructed on how their decisions impact the supply chain. Performing procedures in a consistent manner is important, along with having training protocols and procedures that ensure that only experienced personnel provide direction to new starters. Standard Operating Procedures (SOPs) should be easy to follow and clearly outline required tasks and processes, to minimise inconsistencies amongst staff. 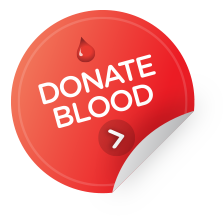 Staff should be aware of the impact of inadequate storage and handling, as well as the implications of wasting blood. You can avoid putting patients at risk by assuring product integrity. Wasted product not only has financial implications, but can also mean less product is available where required, potentially resulting in an adverse clinical outcome.